Blues-rock guitar wizard, vocalist and songwriter Tinsley Ellis will celebrate the release of his new CD, Winning Hand, with a live performance on Saturday, Jan. 13, 2018 at Songbirds Guitar Museum in Chattanooga. The concert will be in the Main Exhibit Hall at 7 p.m. Tickets are $20 and available here. Since his Alligator debut 30 years ago, Tinsley Ellis has become a bona fide worldwide guitar hero. Armed with his signature molten licks, melodic riffs and rousing, intense solos, Ellis, as his legions of fans will attest, is among the blues world's best loved, hardest working and most well-traveled statesmen. Recorded in Nashville and produced by Ellis and keyboardist Kevin McKendree, the 10 brilliantly performed, fervently sung tracks on Winning Hand include nine originals, ranging from blistering blues to heart-pounding rock to soulful ballads. "Guitar, guitar, guitar is what this album is all about," says Ellis, who recorded primarily with his 1959 Fender Stratocaster, his 1967 Gibson ES 345 and his 1973 Les Paul Deluxe. Ellis has performed in all 50 United States as well as in Canada, Western and Eastern Europe, Australia and South America, earning legions of fans with his guitar virtuosity, passionate vocals and memorable original songs. Ellis is also revered as a guitarist's guitarist, with famous friends including Derek Trucks, Warren Haynes, Oliver Wood, Jonny Lang and members of Widespread Panic calling on him to sit in and jam. "A musician never got famous staying home," he says. Born in Atlanta in 1957, Ellis was raised in southern Florida. He found the blues through the back door of British Invasion bands like The Yardbirds, The Animals, Cream, The Rolling Stones and Southern rockers like The Allman Brothers. As he discovered the roots of these bands, he attended shows by B.B. King, Howlin' Wolf, Muddy Waters and every other blues artist who came through town. Already an accomplished teenaged musician, Ellis returned to Atlanta and started playing with local bands. In 1981, along with veteran blues singer and harpist Chicago Bob Nelson, Tinsley formed The Heartfixers, a group that would become Atlanta's top-drawing blues band. After cutting three Heartfixers albums for the Landslide label, Ellis was ready to head out on his own. Georgia Blue, Tinsley's first Alligator release, hit the unprepared public by surprise in 1988. Tinsley's next four releases - 1989's Fanning the Flames, 1992's Trouble Time, 1994's Storm Warning, and 1997's Fire It Up - further grew his fan base and his fame. Features and reviews ran in Rolling Stone, The Chicago Tribune, The Washington Post, The Los Angeles Times, The Boston Globe, and in many other national and regional publications. Ellis released an album on Capricorn Records in 2000 and on Telarc in 2002. He returned to Alligator in 2005, releasing Live - Highwayman, which captured the fifth-gear energy of his live shows. He followed it with two more incendiary studio releases, 2007's Moment of Truth and 2009's Speak No Evil. He has since self-released four successful albums on his own Heartfixer label. Over the course of his career, Ellis has shared stages with Stevie Ray Vaughan, Otis Rush, Willie Dixon, The Allman Brothers, Leon Russell, Son Seals, Koko Taylor, Albert Collins and many others. Whether he's on stage with his own band or jamming with artists like Buddy Guy, the Tedeschi Trucks Band, Gov't Mule or Widespread Panic, he always plays with grit, soul and unbridled passion. 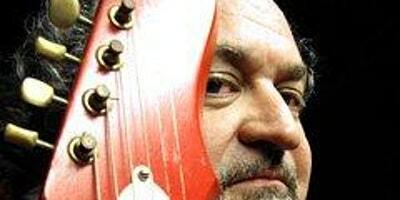 Back home on Alligator Records with his new album and a massive live tour in the works, Tinsley Ellis is ready to prove again that whenever he picks up a guitar, he's playing with a winning hand.